Macy’s has revealed the lineup for its 87th Annual Thanksgiving Day which includes everything from circus acts to singers, Broadway to Duck Dynasty cast. 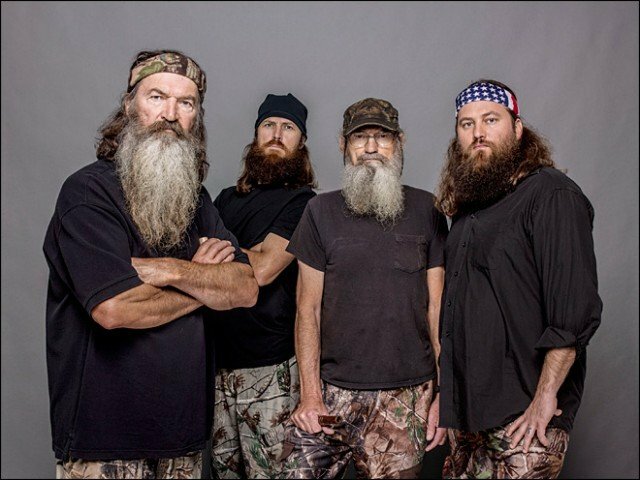 The bearded Robertson family from the wildly popular A&E show, which chronicles a business that makes products for duck hunters, will appear at the parade as well as Ariana Grande, Kristin Chenoweth, Jimmy Fallon, Fall Out Boy and numerous other acts. Hosts Matt Lauer, Al Roker and Savannah Guthrie of Today show will introduce rock acts including Fall Out Boy, Goo Goo Dolls and Joan Jett and the Blackhearts, the network said. Both the Big Apple Circus and Cirque du Soleil will be on hand, as well as performers as disparate as the Cherokee National Youth Choir and Richard Simmons. Others include the Muppet family of Sesame Street. The first hour of the 9 a.m.-to-noon telecast will feature Carrie Underwood and members of the cast of NBC’s The Sound of Music Live!. Following tradition, the Radio City Rockettes will perform, and cast members of Broadway musicals will sing selections from Matilda, Motown: The Musical and other shows.